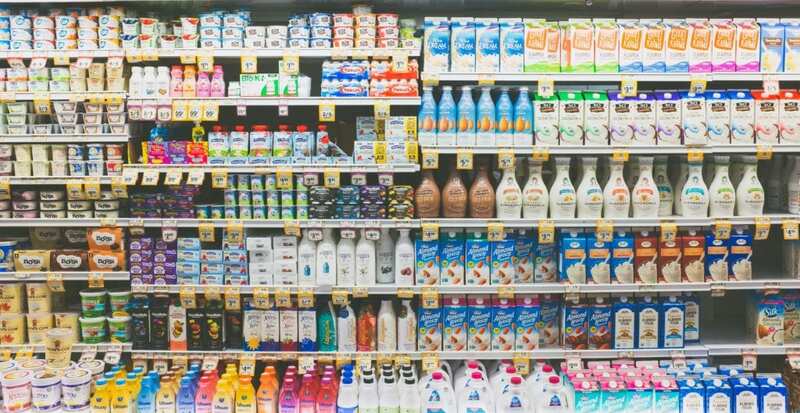 This is your go-to Target keto shopping list. Do you remember that love letter I wrote to Trader Joe’s a while back? Ok, it wasn’t quite a love letter but it got pretty sappy as I confessed my love for all the ways Trader Joe’s makes life amazing with their great products and affordable prices. Well, the way I feel about Trader Joe’s is similar to the way I feel about Target. It’s a gold mine for adorable products (especially for your home) at awesome prices. Surprisingly, though, it wasn’t until recently that I realized that their food selection is pretty amazing as well. The gym that I coach at is located right beside a Target. This is great for me and not so great for my bank account (haha!) It is also the only place within walking distance that I can get coffee – an essential for those early mornings when I coach. But, because this is the case, I’ve gotten really familiar with the store because I am there A LOT. All this time gave me a reason to scope out their grocery section…and let me tell you, I was impressed. 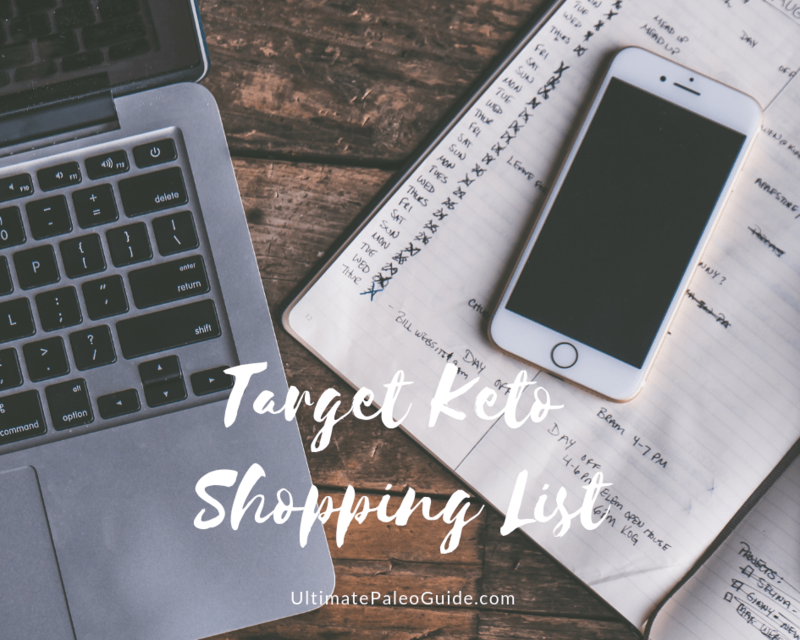 So I thought I’d give you a rundown of some of the amazing keto (and in most cases paleo) products you can find on the shelves at Target. By no means is this a comprehensive list. And Target stores vary in what they carry depending on location and such. Just consider this a short list of some of my go-tos. Eggs are a standard for me. Literally, my fridge might be close to empty, but I can guarantee you there will at least be some eggs in there. I’m choosy with my eggs though. And you should be too. When possible, opt for pasture-raised – or at the very least cage-free. You can’t go wrong with some scrambled eggs and bacon in the morning. But if you want to mix it up, try this curried chicken and poached eggs recipe or steak, kale, and eggs for a leveled-up breakfast. Or keep it simple with hardboiled eggs for a quick and easy snack. When you’re keto, it’s all about getting in those healthy fats. Therefore, coconut oil becomes a staple in your pantry. You can use it for cooking, baking, smoothies, etc. We love this coconut oil because it’s organic and unrefined. If you want to know all about coconut oil, be sure to check out our comprehensive guide. When you’re low carb, riced cauliflower becomes your bestie. Whether you’re craving a burrito bowl, stir fry, mashed potatoes, or even pizza, riced cauliflower can help you hit that craving. This option is great because it’s also organic. Win-win. Zoodles – if you know, you know. These will help you fulfill that pasta craving. These are spiralized for you and will keep for as long as you need them in the freezer. Need a recipe idea? We love shrimp zoodles with basil. To be honest, I was quite surprised about the quality of meat available at Target. This 100% grass-fed organic ground beef is just one example. When possible, you should try to buy grass-fed ground beef and I’m excited that it’s becoming a mainstay in big-chain grocery stores. With your ground beef, you can make this ground beef stir fry or these Thai beef lettuce wraps. I like keeping high-quality deli meat on hand for when I’m short on time. I’ll eat it for lunch with a side of sliced low-carb veggies and guacamole. I love all of Applegate’s products because of their focus on quality and the fact that there’s no sketchy fillers in their meat. Speaking of guacamole, this one from Archer Farms is bomb. Guac is great on everything from burgers to taco bowls to sliced veggies. Of course you can always make your own at home but this one is great if you don’t have time for that. There’s nothing in it but avos, vinegar, jalapeno, and spices. Yum. Olives are a great form of healthy fat and can easily be popped in your mouth for a quick snack. They’re great on top of salads or marinated in this fashion. If you’re not a sardines eater (yet), the thought of eating one might gives you the heebie-jeebies, at first. But these little fish are packed with vitamins, omega 3 fatty acids, and protein. They’re honestly such a great little snack. You can even step up your game and stuff them with pesto like this recipe suggests. This mayo is perfect if you’re keto and you’ve got a craving for a tuna salad sandwich. Or maybe you love a dash of mayo on your burger. Either way Sir Kensington’s mayo is the way to go. It’s made with the highest quality ingredients – and the price tag reflects that – but for me, it’s a splurge I’m more than happy to take. I don’t know about you, but I was pretty surprised to find all the awesome keto-friendly products at Target. This is just a short list of some of my favorites, but the list really could go on and on. If you need more keto recipe ideas, we’ve got an archive that’s constantly growing. And don’t forget our comprehensive guide, food list, and calculator to help you properly and sustainably find results on the keto diet. And if you want to take it one step further, we’ve got meal plans that will make it as easy as possible for you to stay all keto, all the time.